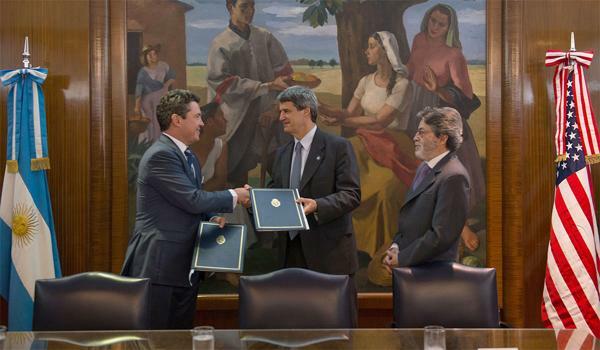 Q24N – Argentina nd the United States signed a tax information exchange agreement on Friday that seeks to combat tax evasion and promote transparency. 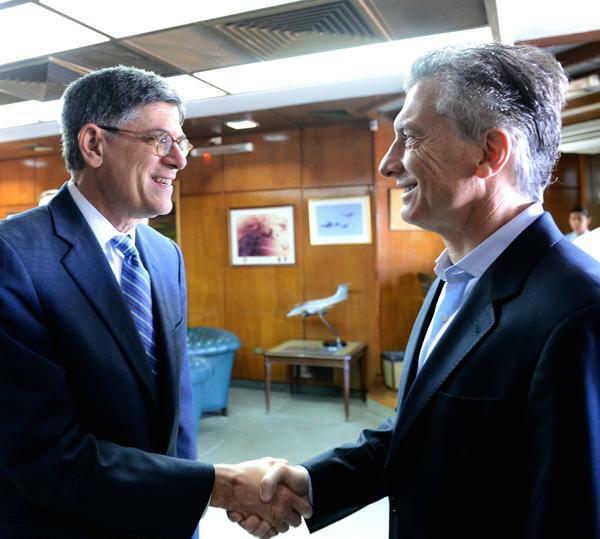 “This agreement paves the way for the reinsertion of Argentina into the world economy and constitutes a major new step forward in the relationship between the United States and Argentina,” U.S. Treasury Secretary Jacob J. Lew said in a statement. The U.S. official said in the statement that the agreement will facilitate cooperation between the two countries in initiatives related to the implementation of tax legislation. Meanwhile, Argentine Finance Minister Alfonso Prat-Gay said that this agreement is a consequence of the efforts being made by his country to regain credibility and that the Argentine government is rebuilding institutions, governance, and undertaking structural reforms. Prat-Gay stressed that three months ago, technical teams from the Ministry of Finance, the Federal Public Revenue Agency (AFIP) and the Internal Revenue Service (IRS), were working together to reach an agreement. “AFIP will now have a valuable tool to detect, in the territory of the United States, undeclared assets by Argentine taxpayers who decide not to take advantage of the opportunity to get their financial house in order,” said the minister of Argentine treasury. From the date the agreement takes effect, agents in the administrative realm from one nation, without need for a judicial judgment, may request to obtain information from the other nation’s tax authority, allowing them to better monitor their taxpayers and, eventually, bring about a reduction in tax evasion, according to the Ministry of Finance. The Argentine official said that the agreement is in addition to the recently signed deal with authorities of the Swiss Confederation (Switzerland), which will enter into force in January, in conjunction with 45 other nations. “It will be increasingly difficult for Argentines to keep assets abroad without declaring them,” said the minister. AFIP sources told Infobae that with an online search of the taxpayer’s name, the agency will be able to determine if an individual in question has bank accounts, shares, bonds, or real estate in his or her name in the United States. The agreement for the exchange of tax information with the United States comes at a time when the government of Mauricio Macri is carrying out an ambitious program that could mean in the coming months seek to account for between USD $30 billion and $50 billion held by Argentines abroad, according to Infobae.